After a volatile ride on Tuesday, sterling posted a remarkable recovery on Wednesday. 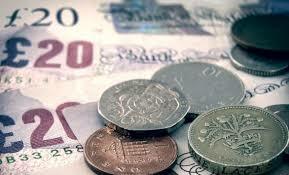 GBP/USD rallied through 1.26 while EUR/GBP dropped below 0.8550. With Prime Minister Theresa’s May speech (last week) and the Supreme Court decision (on Tuesday) behind us, financial markets have started to focus on other events, including if President Trump is able to deliver on his campaign pledges. Moreover, investors have tried more than once to push GBP/USD below 1.20 and they have been unsuccessful in triggering more weakness. In general, sterling is very reluctant to move much lower. The speculative net-positioning in the futures market is substantially short sterling and investors have become impatient. The sterling’s recovery on Wednesday is simply a reflection of some investors closing their short positions in sterling. If UK data releases such as GDP on Thursday come in better than expected it is likely that investors will further close their short sterling positions. In short, sterling is cheap, most of the negative news is in the price, the market focus is changing towards President Trump and the eurozone political events and investors are becoming impatient. This is a recipe for a further recovery in sterling in the coming time versus the US dollar and the euro.